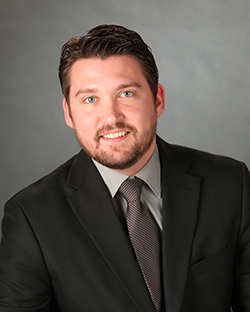 Matt began his practice by advising numerous corporate and individual clients regarding a wide variety of general, business, corporate, educational, and personal matters. His practice has grown to include representing clients in state and federal courts. Mr. Kelsey’s civil litigation experience extends to multiple areas including business disputes, construction, and personal injury. In addition to litigation, Matt has continued a broad general practice in most legal areas. He is also a civil mediator and part of the firm’s Alternative Dispute Resolution team. Matt’s professional achievements have resulted in his recognition from 2014-2018 as an Indiana Super Lawyer Rising Star, a peer-nominated and evaluated acknowledgment limited to 2.5% of eligible attorneys. Representative cases in which Mr. Kelsey has been involved as counsel include: Ball State University v. Jennifer Irons, In re: the Marriage of Jennifer Irons and Scott Irons, 27 N.E. 3d 717 (Ind. 2015); Zimmerman, et al. v. Ball State University, 2013 U.S. Dist. LEXIS 54368 (S.D. Ind. April 15, 2013); Ellison v. Town of Yorktown, 47 N.E. 3d 610 (Ind. Ct. App., 2015); Board of Commissioners of Union County, Indiana v. Brandye Hendrickson, in her official capacity as Commissioner of the Indiana Department of Transportation, and the State of Indiana, 81A01-1603-PL-696 (Ind. Ct. App., decided December 16, 2016); Mint Management LLC and J&MW Holdings, LLC v. City of Richmond, Indiana, 89A01-1603-PL-496 (Ind. Ct. App., decided February 15, 2017).